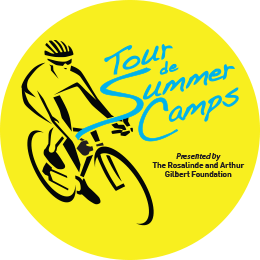 The Jewish Federation’s Tour de Summer Camps is a community cycling event on Sunday, October 27th, 2019 that will raise significant funds to send more of our kids to Jewish summer camp, helping them build a lifelong connection to Jewish identity and values. Participants can choose to Cycle at Camp on one of our stationary bikes for a one hour session at 9:30 am, 10:30 am, or 11:30 am. There will be music and instructors leading each Cycle at Camp Session! Anyone can participate – young and old – but you must be 14 years or older to ride. If you are under 14, will be out of town or don’t ride a bike consider being a Virtual Rider! The goal of Tour de Summer Camps is to provide means for every child who wants to attend Jewish summer camp to do so. All proceeds from the ride will support summer camp scholarships to give more kids that lifelong connection to Judaism that only Jewish summer camp can provide, which will in turn help us ensure the Jewish future—one of The Jewish Federation’s top priorities. Your non-refundable registration fee reserves your spot to ride! In our efforts to best support the scholarship program that sends more kids to Jewish Summer Camp, you are required to meet the fundraising minimum of $500 for ages 30 and over or $250 for ages 16 to 29. All Cycle at Camp stationary bikes are equipped with pedals that don't require spin shoes! The Jewish Federation of Greater Los Angeles addresses the greatest challenges of Jewish life—locally and globally. Today’s world is complicated, but thanks to your help, we care for our most vulnerable and ensure the Jewish future for generations to come. That is the power of community.